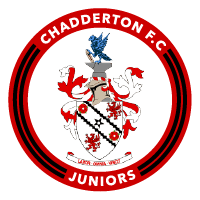 Chadderton FC Juniors is a Community Amateur Sports Club that provides structured coaching and organised football to children and young people in Chadderton and the surrounding communities and offers a seamless route from junior to semi professional football with Chadderton FC. The club currently comprises a soccer school for ages 4 year old upward and teams ranging from U7s to U16s and on to Youth and semi professional football at our exit club, Chadderton F.C. We have recently been awarded the highly prestigious FA Charter Standard Community Club status in recognition of our recent achievements. The club has an excellent reputation within junior football circles and was voted Manchester FA’s Charter Standard Development Club of the year for 2009/10. We currently have some 250 registered players across all age groups plus the attendees at the soccer school. 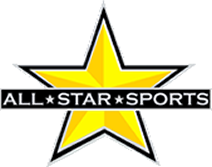 Each team is managed and coached by at least two adults holding FA accredited coaching qualifications and CRB checked. The Club was formed from humble beginnings in 1992 with one team following the breakup of Collyhurst & Moston JFC and a merger with Chadderton Strikers. The Club has grown in size and extended the range of age groups from U7 to U16 and has on occasion provided football at U17 and U18. Our teams play in various mini-soccer and 11-a-side leagues in & around the borough. The club is keen to develop and strengthen the girl’s side of the club and is actively recruiting for next seasons U9's, 10's and 11's teams. We are also interested in running a vets team and would like to hear from any interested parties. We are keen to encourage more take up of football from young people in the Asian community and are encouraging older children to undertake the JFO course, and then, cut their coaching teeth by assisting our coaches at the soccer school and helping to organize our football festivals. We would also like to hear from any interested volunteers looking to get involved in any capacity within the club.